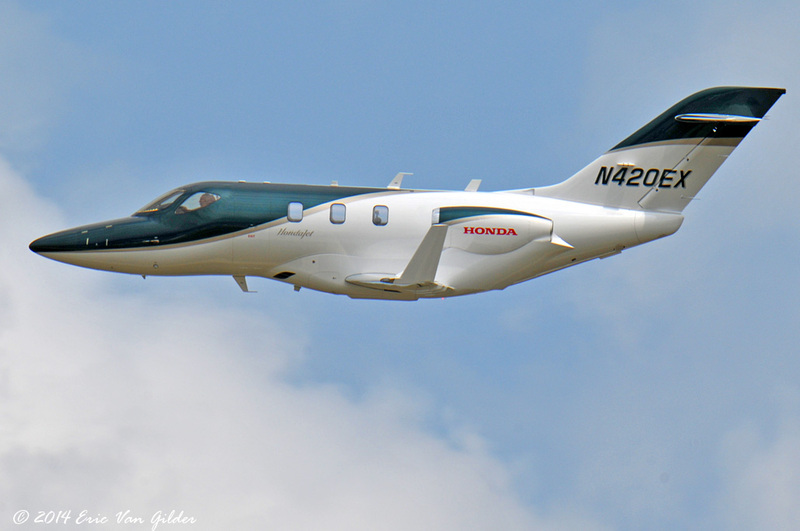 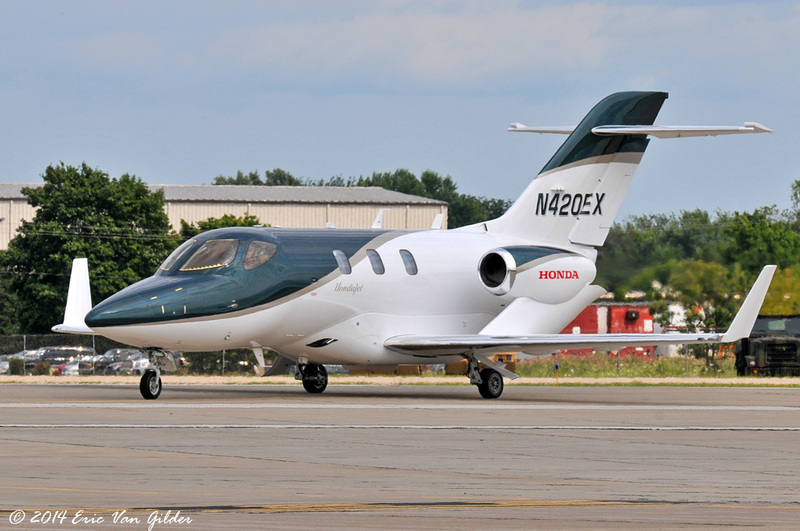 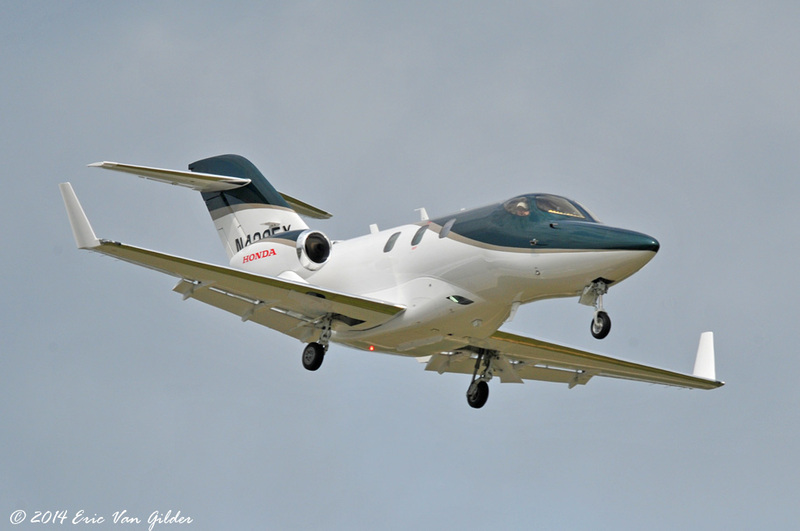 Last year at AirVenture, Honda flew 2 of the engineering test HondaJets. 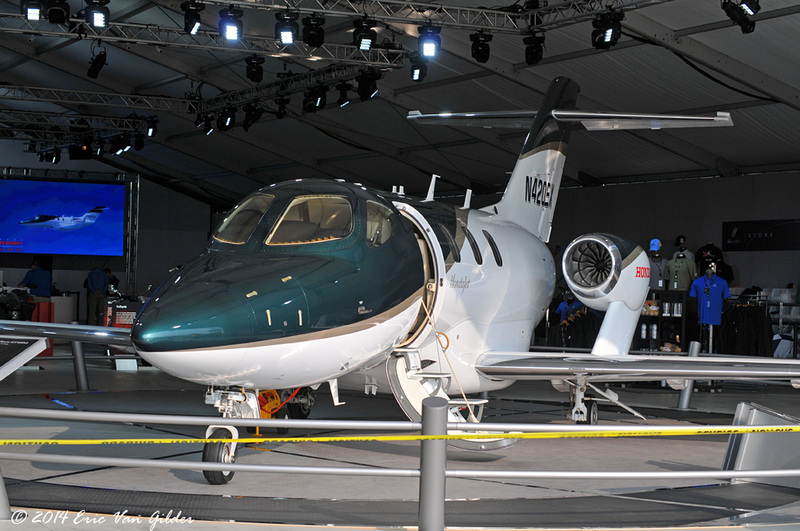 This year, the first production model flew for the crowds. 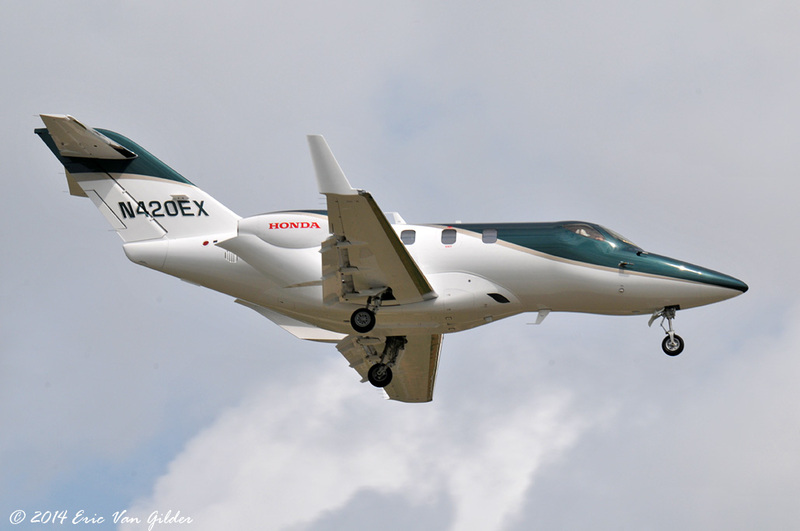 Honda states that the production aircraft can seat 5 passengers flying 483 MPH at up to 43,000 feet with a range of 1,357 miles.